“Shrinkage” may be a polite euphemism for theft, but when merchandise goes missing, it’s no joke. Loss prevention is crucial for any business owner, so it's important to stay up-to-date on the latest trends. The busier your store is, the more inviting it is to thieves, but you are vulnerable every day, in multiple ways. 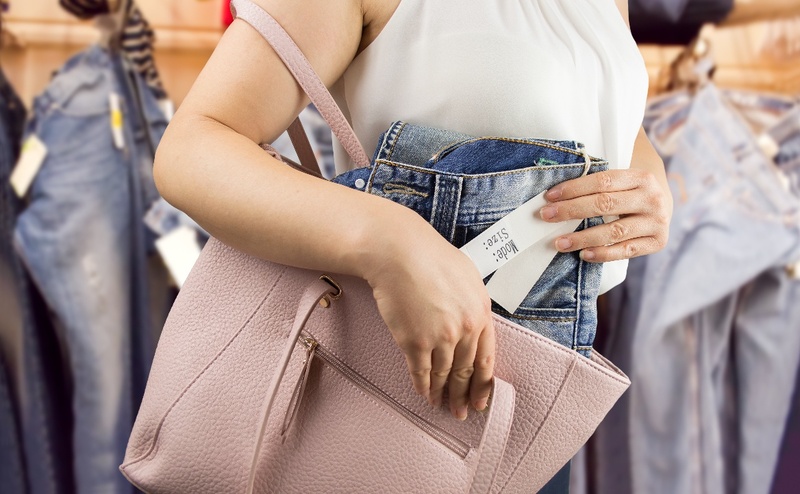 In the past few years, retailers have refocused their efforts away from arresting thieves toward loss prevention — taking measures to ensure you lose the least. The truth is, no store is theft-proof. The most recent statistics come from the National Federation of Retailers’ 2017 Security Survey. Nationwide in 2016, shrinkage cost retailers just under $49 billion, up 1.44% from the previous year. One of the ugly trends we’ll continue to see in 2019 is the increase in organized retail crime, or ORC. Professionals now account for more thefts than random “personal” shoplifters. Sadly, you also have to worry about internal losses, because employees are another major source of theft (about 30%). Even more, while the average shoplifting theft is worth about $800, employee thefts average between $1,200 and $1,900. And there’s more. Deliberate or inadvertent bookkeeping and processing errors, vendor fraud, and losses associated with returns account for about 30% of overall shrinkage. As with most trends in the 21st century, the key to loss prevention seems to be with evolving technology. And there's a lot of it. Not all thieves stuff merchandise into their purse or pockets. Checkout offers opportunities for cashiers to pocket cash and for customers using self-checkout to simply skip or outfox the scanner. In 2019, more retailers will be using technology to improve checkout theft prevention. Video cameras using specialized software can watch cashiers as well as shoppers, alerting security personnel when an anomaly is detected — for example, an item is bagged but not scanned, or four items were bagged but just one scanned. Immediate intervention can prevent actual loss. Radio frequency-enabled tags trigger an audible alert if unpaid merchandise leaves the store. RFID technology upgrades the tags, storing detailed information about the item. Each piece of merchandise can be tracked throughout the entire supply chain as well as in-store, making it easy to see exactly when and where missing items went astray. This helps prevent theft along the way. Employees are also deterred from stealing because they know each item can be individually tracked. An emerging trend we may not see quite yet in 2019 involves microelectronic RFID tags the size of a thread. These can be woven right into apparel items, making it virtually impossible to remove them, unlike traditional hanging or peel-off tags. The RFID threads are even washable. Placed inside packaging, GPS trackers also have potential to follow merchandise from the beginning of the supply chain. And if the item leaves the store without payment, the locator sends an alert and increases the chance of recovery. This technology is costly, so, for now, it’s most useful for high-priced items. Video surveillance has become the most common store theft protection measure. The latest trend, however, is toward facial recognition software. Still in its early stages, this technology is designed to capture a face shot of every person entering the store, then compare it with a database of known thieves. Store security personnel could then monitor the person, or ask them to leave. However, using facial recognition in this way raises some serious personal privacy concerns that will need to be clarified before more retailers are willing to implement it. Integrated inventory tracking and surveillance systems are also helping retailers learn more about how and where losses occur. Armed with better data, retailers can take the necessary steps to improve theft prevention measures. Don’t assume your store is too small to appeal to thieves. Or that your staff is too small to include potential miscreants. No matter what level of technology you can afford, common sense and alert watchfulness are also highly effective theft deterrents. Check out potential hires thoroughly. Train employees to spot potential problems. Eliminate dark and blind spots within your store. And post signs that tell shoppers you’re watching. Then, focus on those all-important one-on-one customer interactions, throughout your store.